Here is my list of 17 of what I call the best books for Entrepreneurs. IF you wanna bone up on your education, you might see which ones sound good to you. 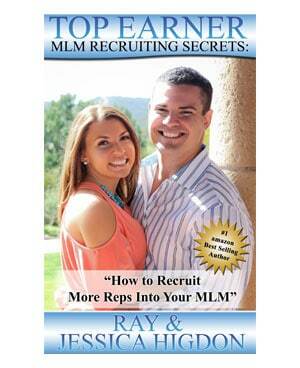 Our New Book For Network Marketing! A Go For No Book For Our Profession! Go For No For Network Marketing is geared to help ANY Network Marketer achieve their goals, ranks, and lifestyle that they crave. 1. Your First Year in Network Marketing. 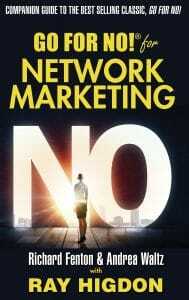 This is by Mark Yarnell and is one of the most real books I have ever read on Network Marketing. He really lays out the potential land mines and sets very realistic expectations in this book. 2. Go Pro by Mega Guru Eric Worre is also a very complete book on Network Marketing. 3. The Secret Code of Success, By Noah St John is still one of my favorite books on mindset and overcoming what has you stuck. 4. The War of Art by Steven Pressfield. This is seriously one of the best books for Entrepreneurs in existence. Steven Pressfield is straight up beast in this book explaining all about resistance and how to fight past our small thinking and action. 5. John Maxwells 21 Irrefutable Laws for Leadership is awesome. I read this about once a year and ALWAYS catch something new. 6. 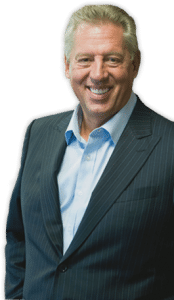 Dan Kennedy’s Ultimate Sales Letter is perfect for those that struggle with target market and who they should be marketing to and how to do it. 7. Moine’s Unlimited Selling Power is a book about a very different spin on sales and how to think about selling. 8. Joel Bauer’s How to persuade those who don’t want to be persuaded is just genius (he is also quite a trip if you ever see him live. 9. Differentiate or Die by Jack Trout may possibly be the most powerful advertising book in existence. When it comes to best books for Entrepreneurs, this one is also just a necessity. This and their 10. “Positioning” book are incredible at arguing the point of why you HAVE to be different to be successful. 11. How to Inspire any audience and 12. Life is a series of presentations are both great books on speaking by Tony Jeary. 13. 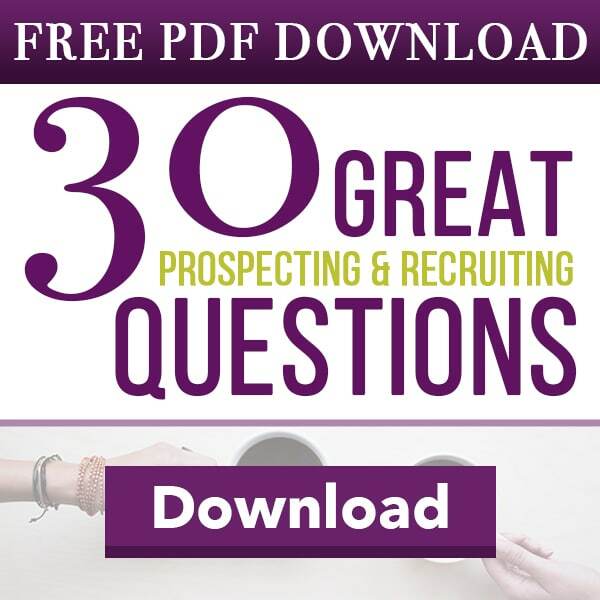 Top Earner Recruiting Secrets is one of my eBooks that you might enjoy if you want to get better at closing and recruiting. 14. Brendon Burchards Motivation Manifesto. This is Brendon’s latest and as good as all of his other books. 15. Ready, Fire, Aim by Michael Masterson is one hell of a book and one of the best books for entrepreneurs that want to really build a large business. 16. How to Get Rich by Felix Dennis is still one of my favorite books on making big money. 17. Last but not least, The Four Hour Workweek is a total classic on outsourcing and time efficiency. 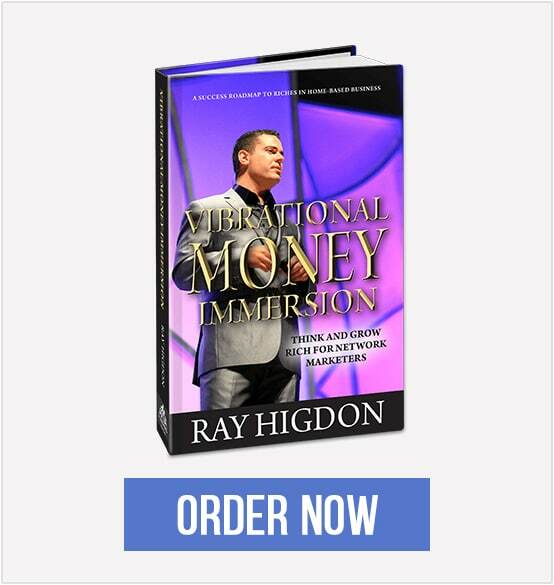 Last but not least, is my book called Viberational Money Immersion. 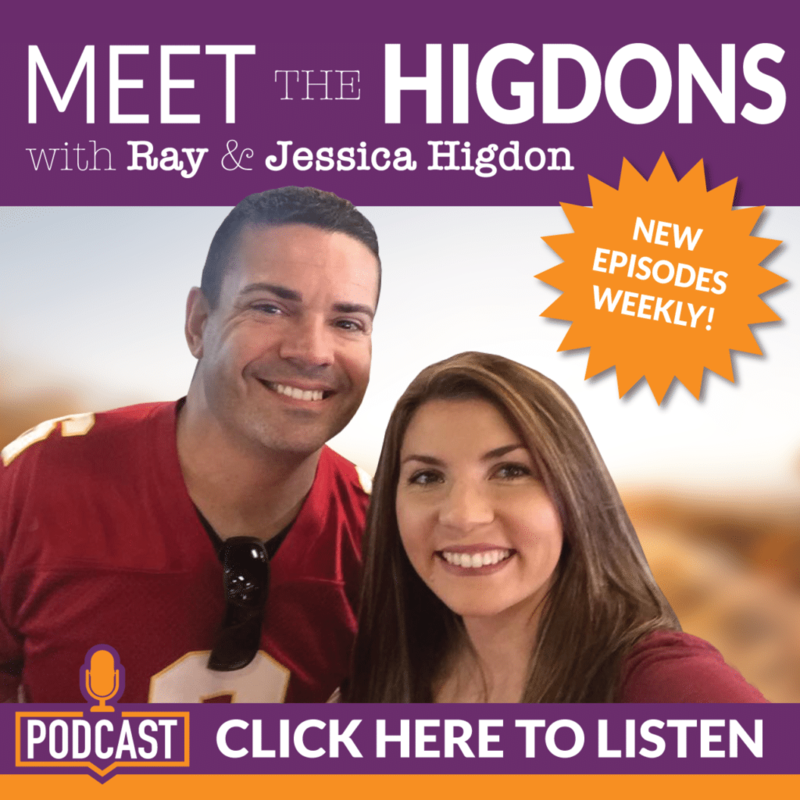 As every single chapter has homework that is geared toward evolving you as a network marketer that may be struggling as a top earner inside of your company. The people who’ve read this book have told me how much it has impacted them! What Awesome Books did I Forget about? 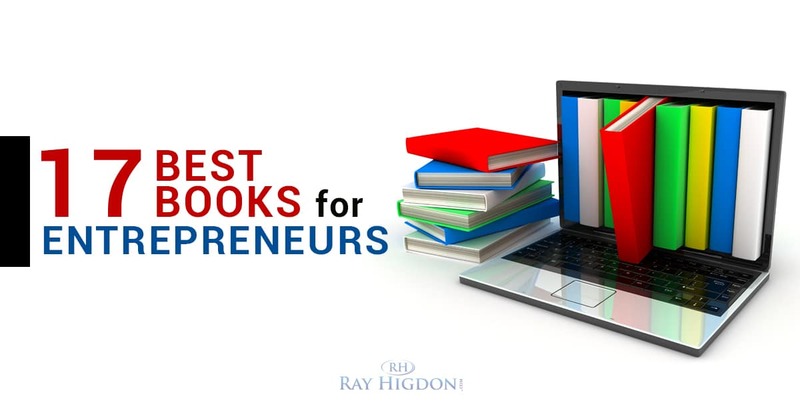 There are certainly books not on this list that YOU might classify as some of the best books for entrepreneurs, what are they? Comment below and let me know which books are MUST-READS in your opinion. Oh my god Ray, you forget the book that changed your life. "Go for No". Also i love "The Secrets of Millionaire Mind by T.Harv Eker and Jab Jab Jab Right Hook by Gar Vaynerchuk. 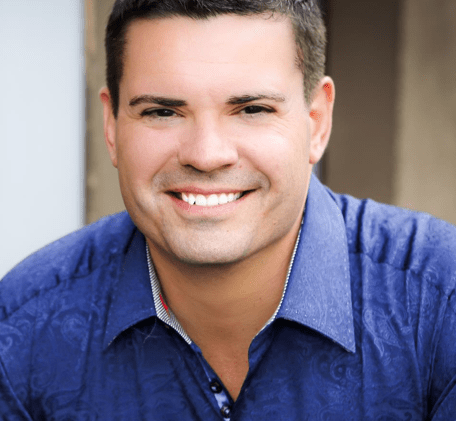 Wow Ray Higdon – I'm humbled to be on the list of your 17 Best Books for Entrepreneurs. It's an honor. My favorite is The Success Principles by Jack Canfield. If anything I'd add Crush It and all of Jeffery Gitomer's books on sales. All those books are awesome though, great recommendations! I haven't read Moine's Unlimited, have to check it out. Just a quick question, who authored the Four Hour Work Week? I read your #1 and #2 the rest I have never heard of. 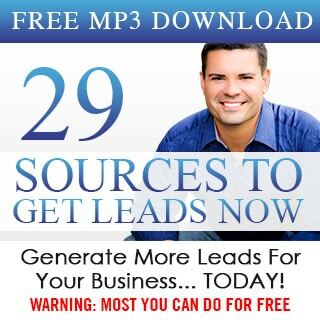 Richard Bliss Brooke "The Four Year Career" The audio version has a 2nd cd of a live seminar by Richard. Straight talk by a veteran. "How Is That Working?" by Robert Hollis. A very successful network marketer who came from nothing but had desire and persistence. Great read. Great list of books! Thanks for sharing! Amazing list Ray! But i´m SURE you forgot the almighty Atlas Shrugged. This book was a life change for me. Breaking the habit of being yourself And Building an empire! Great list Ray, I’ve read several of them. Gotta go back through some again and take better notes! I read the top 4 on ur recommendation and they were all worth it. I think Start With Why by Simon Sinek is essential for any budding Entrepreneur. 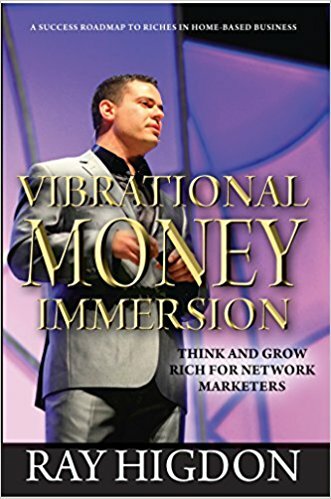 And I also recommend Dig Your Well Before Your Thirsty by Harvey MacKay – The Only Network Marketing Book You'll Ever Need (according to the cover). 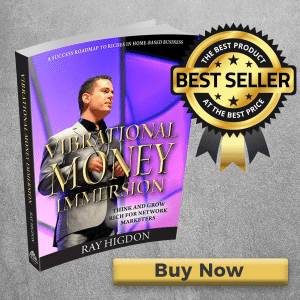 All amazing books Ray… several on that list I have lined up on Audible! A couple that have had a big impact on me.. the coolest books that no one knows about by my buddy Joe Abraham "Entrepreurial DNA" – kind of a Myers-Briggs Pre-Entrepreneur assessment for people who are considering being a business owner… also what I am reading now… Start With Why! I would recommend a potentially life changing new book from David Fasanya, called ‘Way of the Junglepreneur’ (http://junglepreneur.com/). I was really impressed with this one. Great tips and practical advice throughout that is written in a narrative style with charm and wit. The book also comes with a complimentary work book of practical exercises that are really thoughtfully constructed. I’ve become a big fan and keen follower of David Fasanya since reading Way of the Junglepreneur. Excellent book with truly inspiring insight. WOW, great article Ray and thank you for the kind mention…I am honored!